No labor required! 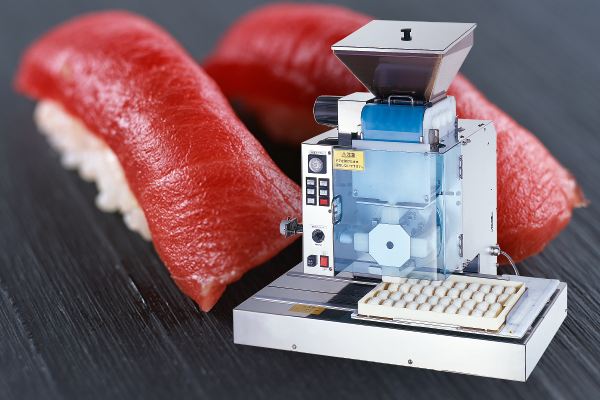 The industry’s first ever high-speed production which discharges two rice balls at once. 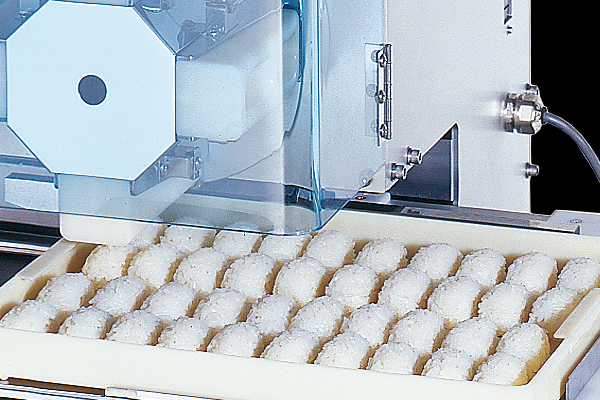 An industry first discharging two rice balls at once enables high-speed mass production. Rice balls are softly and plumply molded like the ones made by veteran sushi chefs.